Is Barley the smarter but less popular sister? Back in Medieval times barley was widely consumed and was one of the first grains cultivated by humans. Barley beer was thought to be one of the first alcoholic drinks developed by Neolithic humans. (Yes, that long ago) Barley later on was used as currency which makes me think it was pretty important back then. (Wikipedia) Barley is a nutritional powerhouse. According to the FDA, barley’s soluble fiber reduces the risk of coronary heart disease and can lower cholesterol. Barley also contains insoluble fiber, which reduces the risk of Type 2 diabetes and colon cancer. Barley is virtually fat-free, cholesterol-free and gluten free. Who knew our ancestors were so smart? 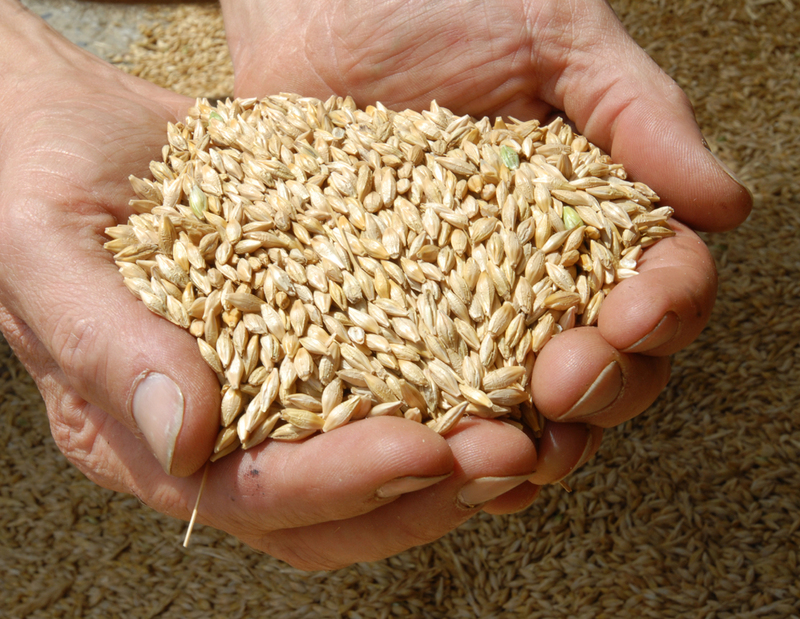 Did you know that barley is the number 4 produced grain in the US (behind wheat, rice and corn)? It is grown in more than half of US states, so why is barley not thought of as a regular rice, potato, wheat option at our dinner table? Where is it going? According to the Barley Growers Association over half of barley goes to feed animals sold for food, 44% is made into malt for beer and whisky, 3% is for seed and just 2% is food for humans. I guess we are more likely to be drinking our barley than eating it. I admit that I’m guilty. I have never made anything with barley. My son and creative chef, Eric, who knows I have a new-found quest to seek out wheat free options, suggested I make a version of his barley soup (and I just happened to have a package of Black Barley in my pantry that I didn’t know what to do with). Now that California is finally getting our winter (read seven days in a row of much needed rain) the thought of a big pot of soup bubbling away in my kitchen sounds pretty appealing. It warms up your house and your heart from the inside out. Rinse barley to remove any lingering dust or debris and cook according to directions, as different types of barley require varying cooking times. Add dried herbs, vegetable broth, beans, barley, sherry, zucchini and mushrooms and simmer for about 20 minutes. 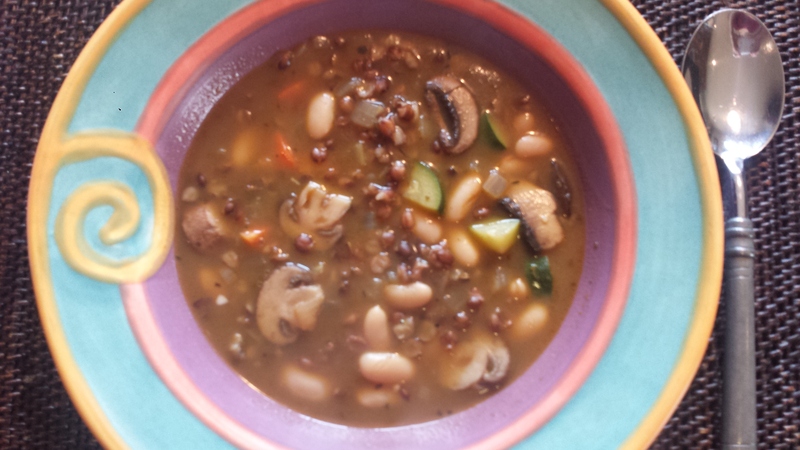 This entry was posted in All Recipes, Vegan, vegetarian, Wheatless Wednesday and tagged barley production, canellini beans, gluten free, mushroom barley soup, Vegan, vegan mushroom barley soup, vegetarian, vegetarian mushroom barley soup, Wheat Free. Bookmark the permalink. Thank you for your visit to my blog. You have a wonderful blog with healthy recipes. I like this soup. I have a bag of barley forgotten in a corner of my kitchen cabinet. I will surely put that to use now.